Nanase was born to the main house of the Mizukami family, growing up with her beloved elder sister and role model Hokuto. 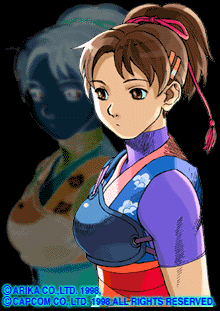 Although born to a family of kobujutsu masters, Nanase only trained to maintain the tradition and actually dislikes her training, slipping out whenever she gets the chance. However, Nanase avoids cutting training as much as possible in order to not upset her sister. 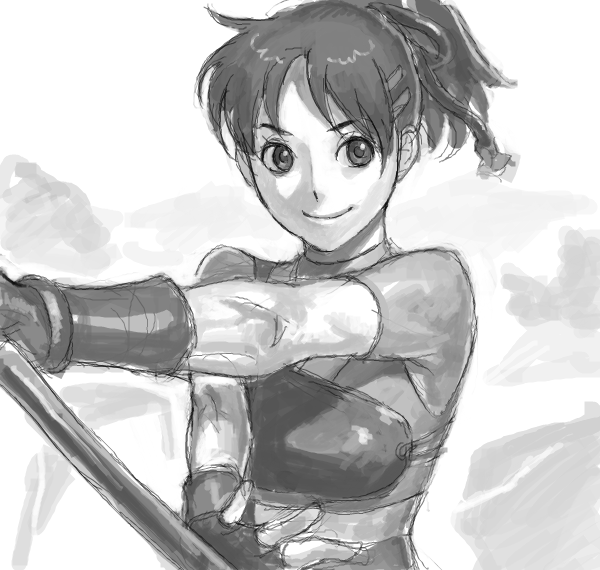 In spite of her reluctance to train, Nanase is a skilled master of bojutsu. One day, Nanase was surprised by Hokuto's sudden decision to forsake the title of Seiden of the Mizukami Ancient Art of Jujutsu and handed it down to her. Not long afterward, Hokuto disappeared and set off on a journey to fight a new enemy. Nanase later learned that Hokuto was in fact, searching for their long-lost elder brother Kairi, and went on a trip to prevent the two from fighting each other. 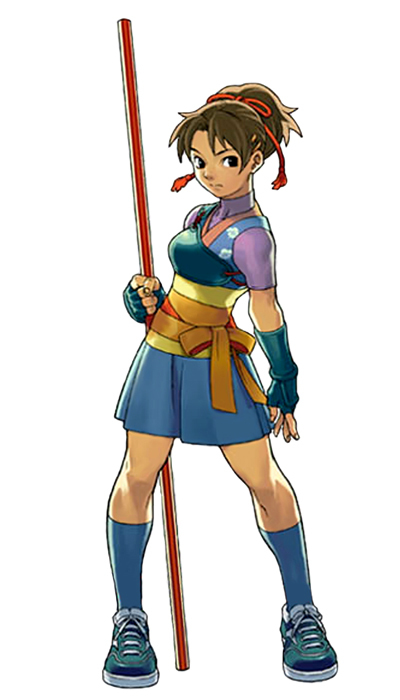 Nanase uses a growing staff, not unlike Soul Calibur 3's Hua Lin. 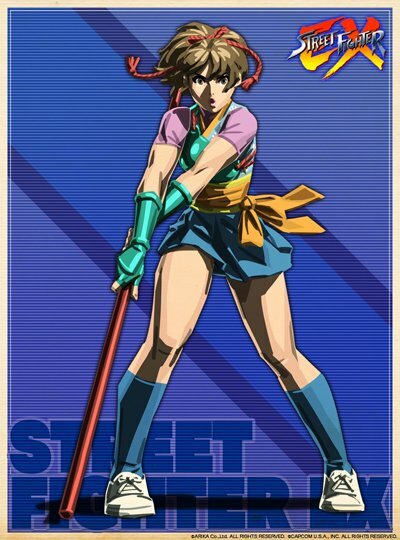 I'm not sure such a silly, fictional weapon really belongs in Street Fighter... but I guess anything goes, considering the history of the franchise. 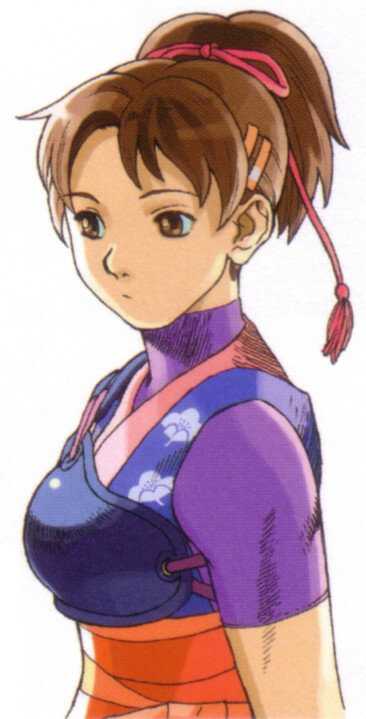 Her outfit design isn't terrible and resembles Hokuto's a bit, but her look is also borderline generic. 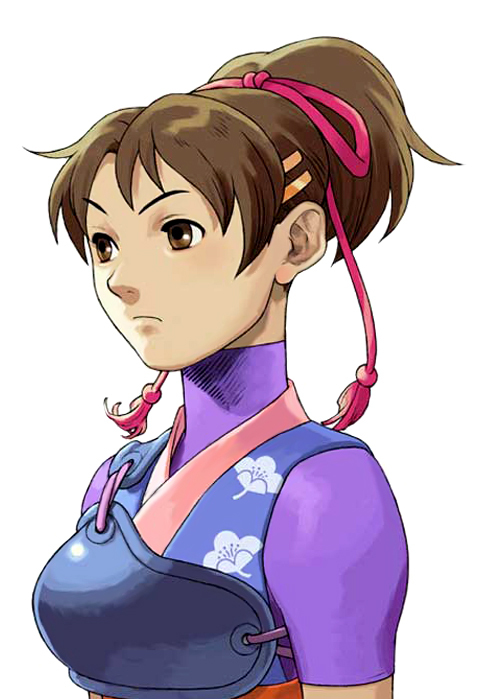 I don't consider her to be among the best designs from the EX series, but at least she brought something to Street Fighter that hadn't been seen before.